Since 2013, Atelier Alain Ellouz participates to the decoration of more than thirty Jaeger LeCoultre shops all over the world. 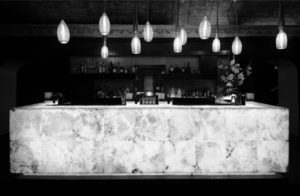 Declined in walls, signs or showcases, alabaster is an essential element of the brand new concept, gathering together Art Deco and immaculate atmosphere. The four alabaster signs enforce Jaeger LeCoultre identity in the historical shop which has been entirely renovated. 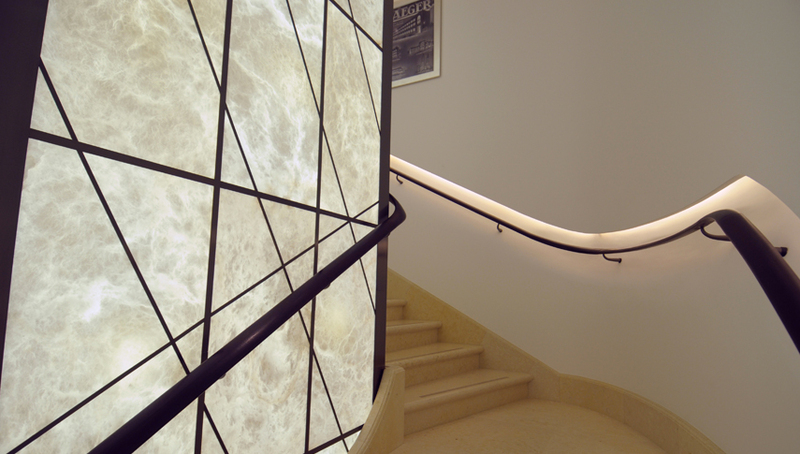 The three floors – dedicated to the watchmaker art – are liked by alabaster twelve meter high walls.